(May, 2018) – One of the outdoor industry’s newest brands to go to market, Blackfish Gear continues to grab attention. As a Minnesota-based company, Blackfish strategically launched a line of technical performance apparel in the upper Midwest to appeal to bass, walleye and crappie anglers. And to accomplish this goal, the Blackfish Team has recently added a few new faces. The crew at Blackfish headquarters is proud to announce several new relationships that round out an already impressive team. The Next Bite Television team of Gary and Chase Parsons and Keith Kavajecz recently jumped on board as Blackfish Ambassadors. 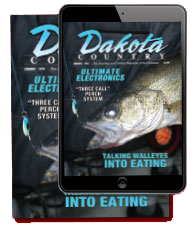 Their combined years of fishing expertise in the upper Midwest is staggering, as is their status as an outdoor media company. 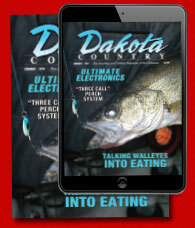 The name of Next Bite is synonymous with fishing and open water adventure, and are a welcome addition to the team. Industry professional Pat Kalmerton also joins the ranks of Blackfish Ambassadors. As a guide, writer, and all-season outdoorsman, Kalmerton brings multifaceted experience and industry connections to the brand. His affiliation with the renowned Wolf Pack Adventure guide service will also help grow awareness of the benefits of the product in the Wisconsin market. Located in Rogers, Minnesota, Blackfish is a Minnesota-based company dedicated to providing quality outdoor recreation products by aligning with other Minnesota and Midwest media, industry professionals and partners. The key categories brought to market are UPF (Ultraviolet Protection Factor) garments including sun shirts and hoodies, as well as premium weather-proof soft shell jackets, pants and bibs. For more information about the Ambassadors, the products and the technology behind them, visit BlackfishGear.com.